Written by Buildington on Thursday, 1 November 2018 . Posted in Build to rent, E14. London’s tallest Build-to-Rent tower Newfoundland has reached full height. Rising amongst the skyscrapers that shape the Canary Wharf skyline is Newfoundland, a striking diagrid structure, which once complete, will be the UK’s tallest build-to-rent development. 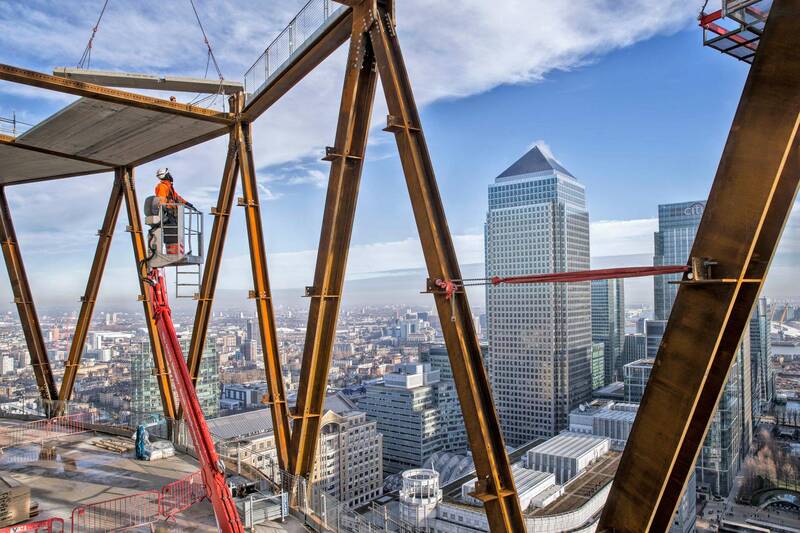 Recently topping out to reach its full height of 220 metres (729 ft.), the tower, comprising 636 private rented apartments, is shaping up as an iconic figure on the London skyline. 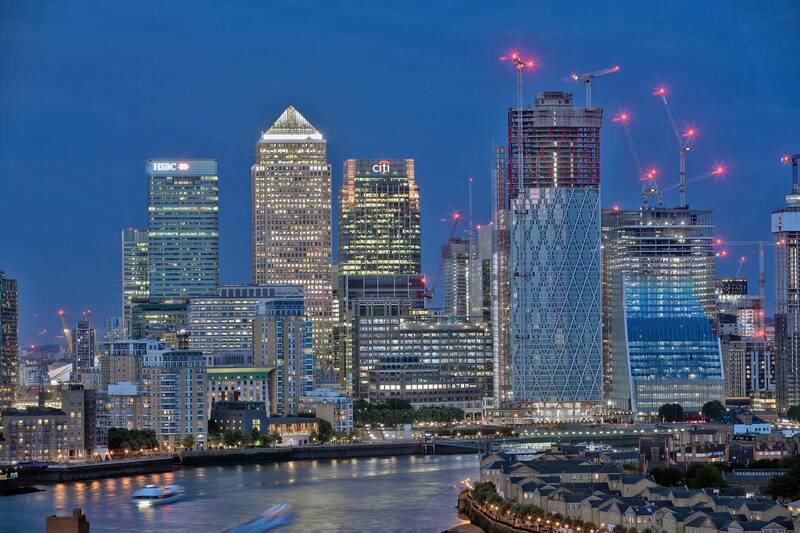 Since construction began in 2015 over 300 piles have been installed, with a number reaching 60 metres deep, some of the deepest ever installed at Canary Wharf. Over 18,000 cubic metres of spoil, the equivalent of seven Olympic swimming pools, was excavated to create the basement. 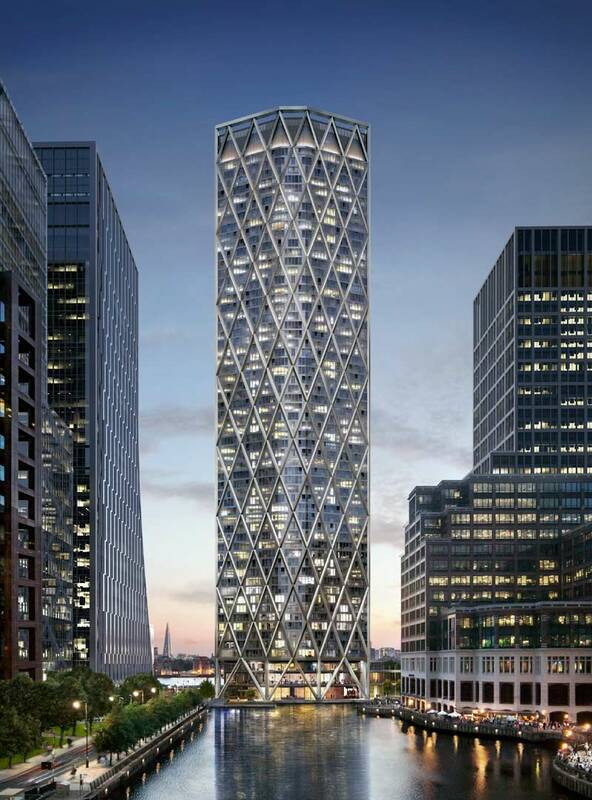 To reach its full height, over 14,000 square metres of pre-cast concrete plank and 9,500 tonnes of structural steelwork have been erected. 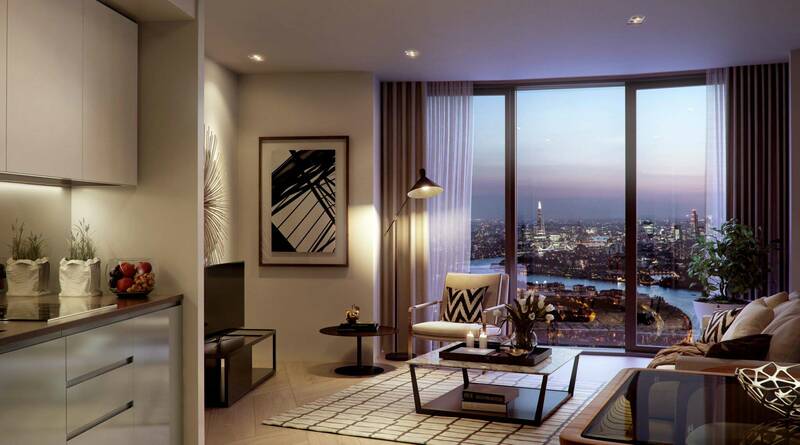 Set to complete in Q2 2020, apartments at Newfoundland are set to be available to rent from July 2020. For more information, visit: www.canarywharf.com.